The Apple rumor mill is in high gear with only a few hours left until Steve Jobs kicks off the keynote speech at Apple's Worldwide Developers Conference on Monday. The company has already said it plans to talk about Mac OS X 10.7 "Lion," iOS 5 and a new cloud service called iCloud, but nobody knows for sure what surprises each new product will offer users. Apple has already previewed OS X Lion and developers have had beta versions of the new OS for several weeks. However, there is a rumor that Lion could be available for purchase as early as next week via the Apple Store and, reportedly, the Mac App Store. Apple has had almost nothing to say about iOS 5 and iCloud so far. Most believe that iCloud will include some kind of music streaming service that makes your music collection accessible on any device with an Internet connection. Apple's iOS 5 is said to be getting new social networking integration, beefed-up speech recognition, widgets, and a new notification system. Many critics are also saying that Apple execs are feeling very excited and bullish about today's event. So whatever happens, it sounds like today's WWDC keynote event could be a game changer for Apple device users. Here's what to expect during today's keynote including the latest rumors, prognostication, and predictions. Twitter Integration: Deep iOS integration with Twitter is expected in the next version of Apple's iOS. This will reportedly include a one-touch button that lets you share a photo via Twitter using the social network's new image sharing service. But there could me more to this new feature as well. Uber blogger Robert Scoble recently said via Twitter that today's announcement would be "huge" for Twitter fans. Voice Recognition: It's not clear what this new feature might be, but most expect Apple to revamp voice recognition in iOS 5. Apple acquired Siri in 2010, an iPhone productivity app with excellent voice recognition. The company also recently made a rumored deal with Nuance Communications, makers of Dragon Naturally Speaking. Revamped Notifications: Apple could also reveal a new notifications system for iOS that improves upon the modular red buttons the mobile OS uses right now. Apple recently hired Peter Hajas, developer of MobileNotifier an iPhone app for jailbroken devices to help with the effort, according to Apple Insider. One theory floating around is that notifications may pop down from the top bar where the iPhone and iPad currently display the time, battery power left and so on, according to TechCrunch. Automatic Downloads: Apple may introduce automatic over-the-air downloads to iOS devices for third-party applications. It doesn't appear this expected new feature would be a background updating solution. Widgets: Taking a page out of Google's Android OS (not to mention OS X's Dashboard) iOS may be getting widgets--small programs that quickly deliver basic information such as flight times or weather. Music Streaming: Apple reportedly has deals in place with all four major U.S. labels to let you stream to any device via the Internet. The new service will reportedly scan your hard drive and then automatically let you start streaming your music with no physical uploading required by you. This functionality is similar to Lala, a service Apple acquired in 2009. What's not clear is whether automatic music streaming will extend to your entire collection or just your music purchases. Video Streaming: A more uncertain rumor is that Apple is hard at work on allowing you to stream music and television rentals and purchases to any device as well. But Apple reportedly doesn't have the deals in place to make this a reality. 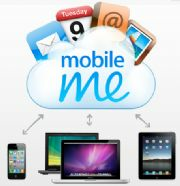 iCloud = MobileMe: Another rumor being floated about iCloud is that it will either replace or absorb MobileMe functionality including contacts, email and calendar sync. iCloud = iTunes, literally: Daring Fireball blogger John Gruber, who has a respectable record when it comes to Apple predictions, expects iCloud to be more than just music streaming or a revamped MobileMe. Gruber expects that iCloud will literally be able to replace iTunes by saving backups of your phone's apps, videos, music, contacts, calendar, bookmarks, notes and files stored in any apps (such as PDFs in iBooks). But don't take this iCloud rumor to the bank as Gruber says this rumor comes from a fourth-hand source. iCloud + Time Capsule = Dropbox: Cult of Mac believes new Time Capsule hardware could debut at WWDC that be a cloud-local storage hybrid. The current Time Capsule is a home Wi-Fi router and external hard drive for Time Machine backups that comes in 1 TB and 2 TB storage sizes. The rumored new Time Capsule would use the iCloud service to sync files across all your devices similar to the seamless way Dropbox works. You would have a dedicated "Home Folder" where you store files you want to sync, and they would be updated across your multiple devices. But instead of storing your files on Apple's servers, the data would always reside in your Time Capsule hardware. ICloud servers would be used instead as a delivery system to move updated and new files between devices. Time Capsule would also continue to work as a backup solution and may work similar to backup services such as Carbonite that allow you to access all your stored data across multiple devices. However, it appears the new rumored service would only push file changes back to Time Capsule for data stored in the "Home Folder." Another interesting rumor is that both Time Capsule and Apple's AirPort Express Wi-Fi router are going to have iOS under the hood. Apple has already talked about Lion a fair bit so much of what is going on in Lion is already known, although Apple may surprise us with a few new features. June 14: 9-to-5 Mac has heard that Apple may release the latest version of OS X as early as next Tuesday, June 14. Find My Mac: A late rumor that came out last week is that Apple plans to introduce a Find My Mac feature in Lion similar to the Find My iPhone service. This would allow you to locate the general location of your Mac on a map, send it alert messages to display such as "Help! I'm lost please call 555-555-5555," and maybe even a remote wipe feature. No PowerPC: Apple is rumored to be killing backwards compatibility with PowerPC software in Lion. Apple switched to Intel processors for its hardware in 2006, and Intel Macs came loaded with an emulator to run programs written for PowerPC-based computers. iOS inspired: LaunchPad, is a new feature that will let you view your Mac's installed applications on one screen. Lion will also come with support for full screen apps similar to what Apple did with iLife 11. For more about the next version of OS X check out Macworld's "What to expect from Mac OS X Lion including freeze and resume, always on, version history and autosave, and new versions of iCal, Mail and Address Book. Despite most critics being certain that Apple has no plans to introduce new iPhone hardware, some are still arguing the company will unveil a new smartphone later Monday. Apple's keynote starts at 10 a.m. Pacific on Monday, be sure to follow PCWorld's WWDC live blog of the event for all the details.